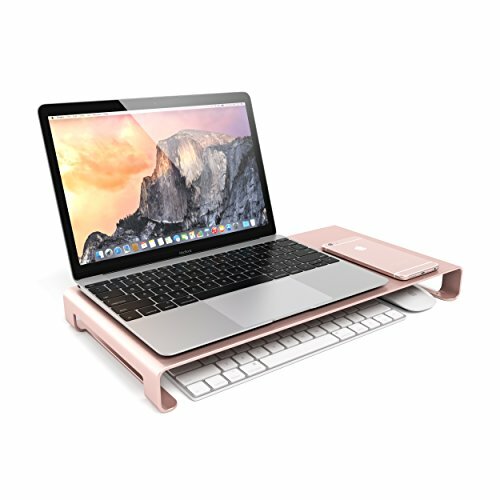 The Satechi Universal Aluminum Monitor Stand is the perfect accessory for your monitor, laptop, or all-in-one computer. The Aluminum Monitor Stand simplifies and organizes your desk, while maintaining a clean, functional style. Designed to match Macs, iMacs, and MacBooks, its metallic finish stylishly complements Apple computers and products. Securely supports computers, monitors, laptops, printers, TVs and more, up to 31 pounds.